Simon Ash-Moccasin and Regina police Chief Evan Bray released a joint statement on Friday after the Indigenous man says he was roughed up by two police officers while he was walking in downtown Regina in December 2014. An Indigenous man who was injured by Regina officers nearly four years ago has reached a resolution with police and prompted new training for cops. Simon Ash-Moccasin says it's been an arduous process, but he's satisfied that his experience has made a positive change for Indigenous people. "I feel confident that, in this day and age, in this world that we live in, that we're being heard as Indigenous people," Ash-Moccasin said Friday after signing a joint statement with Regina police Chief Evan Bray. 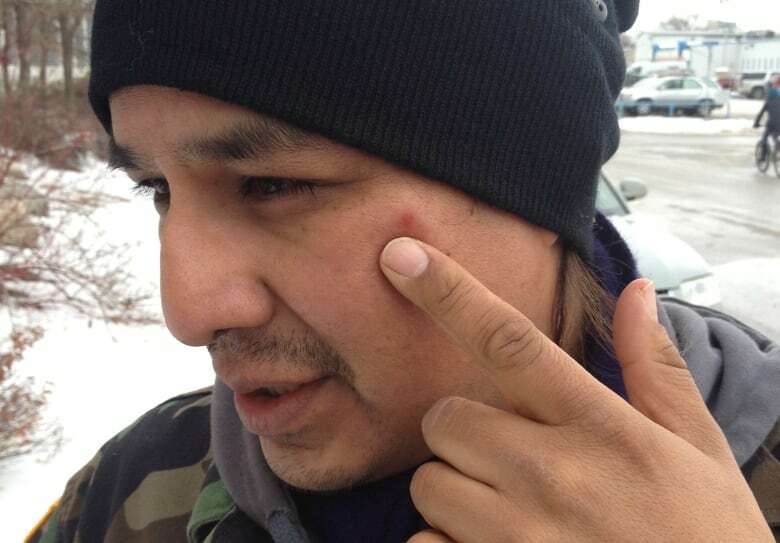 In December 2014, Ash-Moccasin says he was roughed up by two Regina police officers while he was walking in downtown Regina. They said he fit the description of a suspect they were looking for. The father of four received injuries to his face and shoulders in the scuffle. He went on to file a formal public complaint. In 2016, the Public Complaints Commission ruled that police used excessive force, but they said that it wasn't a case of racial profiling. At that time, Regina police publicly apologized to Ash-Moccasin and then the two sides sat down for mediation to right the situation. 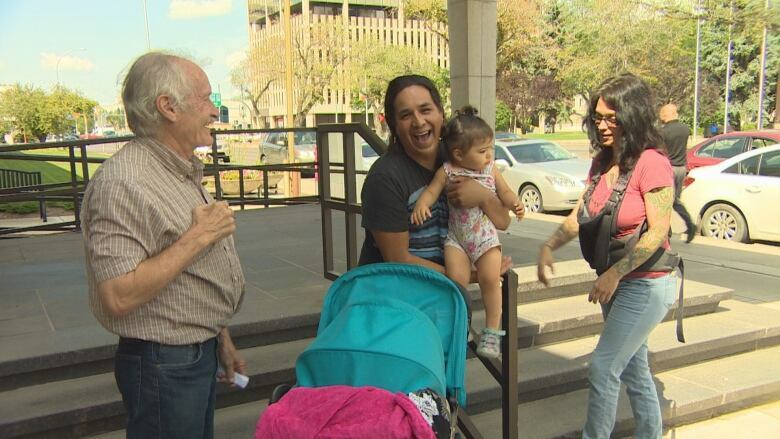 On Friday on the front steps of Regina's Court of Queen's Bench, Ash-Moccasin read the joint statement. "The Regina Police Service has taken responsibility for this incident, and has taken corrective steps to ensure a similar incident does not occur again," it reads in part. The incident has prompted police to add new training for officers, according to the statement. Officers will now receive "cultural competency training," aimed at teaching about Indigenous history including the impact of residential schools and the Truth and Reconciliation Commission's Calls to Action. 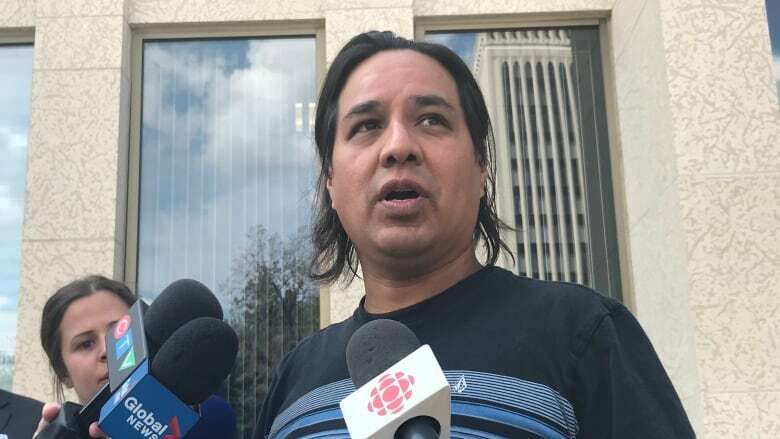 Ash-Moccasin would not go into details about a monetary settlement, but the Saskatchewan Human Rights Commission confirmed that he received money. He said the two sides went through a few rounds of mediation but he's satisfied with where they ended up. "We came to a human agreement," he said. Ash-Moccasin said he got to know police chief Bray during the process. "He listens," Ash-Moccasin said. "I'm confident that there is change that's happening right now and that we can see it." When the original incident happened, Ash-Moccasin referenced demonstrations happening in the United States, protesting police brutality: "you know what's happening with Ferguson? I'm not going to let this slide." Three-and-a-half years later, and with mediation wrapped up, he acknowledges there's still work to do. Going forward, Ash-Moccasin said the experience has taught him an important lesson that he wants others to know. "Everybody has a voice and there's so many things that happen in this life that keep First Nations people down, but you have a voice, and when you use it you get results. And people are starting to listen right now."